Each academic year has its own share of events with the graph registering an upward growth every year. C.C.A. Department of the school really had their hands full during the past year with a host of activities hardly ever seen before and unlikely to be matched hence. The School Council Elections are conducted with the right mix of solemnity, sincerity, spirit and style. Its culmination is a really impressive investiture ceremony, rich in content and serious in intent. 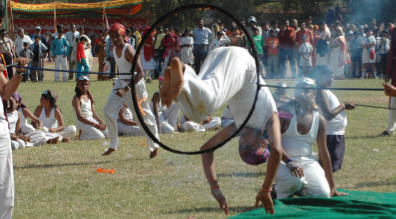 A plethora of interhouse competitions bring about the innate talent of the competitors, their healthy but intense competition along with zeal and energy. The competitions include drawing and painting, recitation, elocution, carvings, dramatics, monoacting, skit, dance and musical recitals, dumb charade etc. for all levels of schooling – primary and secondary. 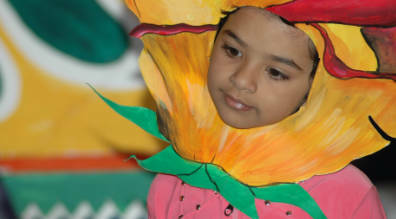 Other exciting events like food-fest, fancy dress and symposia are also conducted. Annual programmes like Independence Day. Gandhi Jayanthi, Republic Day, Teacher’s Day, Children’s Day, Rajyotsava Day, Christmas Day etc., are also celebrated with gay abandon. Celebratory and educational events like Venkatamma Prathibha Puraskar, Language Fest, Chrysalis Programme, Ninad, Sanskrit Fest, etc. occur on a regular basis. 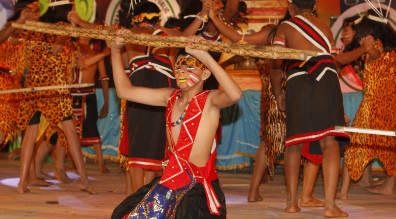 The Annual Day and Graduation Day are held in January.